Why do we use Nobel Biocare? Nobel Biocare have a reputation and a history of high quality dental implants, with their history spanning all the way back to 1965. Gösta Larsson, a man from Gothenburg had spent his entire life suffering with his mouth until the man who discovered osseointegration, Professor Brånemark, changed his life forever using the first ever titanium dental implant added. Fifty years of expertise, experience and the heritage of Nobel Biocare shows in our range of dental solutions and dental implants, which we use to treat millions of patients all over the world presently and in the future. At City Dental Leeds, we want you to be happy with your new smile from initial placement on through the years. In order to help with this, Nobel Biocare offers our expert dentists a lifetime warranty on your dental implants. To learn more about the Warranty Programme at Nobel Biocare, please visit nobelbiocare.com/warranty. Nobel Biocare is a trusted solution, not just here at City Dental Leeds but around the world, with dentists worldwide taking advantage of their products. So wherever you move or travel there will always be a specialist using Nobel Biocare solutions near you. We take advantage of Nobel Biocare’s close collaboration with leading implant experts across the world. Because of this, our continuous clinical training for our dentists and the product testing done at Nobel’s dental laboratories, we at City Dental Leeds make sure you are in the best hands from the start of your treatment right to the final touches on your new smile. Nobel Biocare invest heavily in research, development and innovation, with every single implant carefully tested and engineered to ensure their dental implants are safe and long lasting. This allows our dentists at City Dental Leeds to transform smiles and transform lives. A dental implant is a replacement for the root portion of your tooth and sits fixed within your jawbone to support a single crown, bridges or dentures. Implants are made from a titanium alloy, which is biocompatible with your own body tissues and safe to use. What is the procedure that is involved? 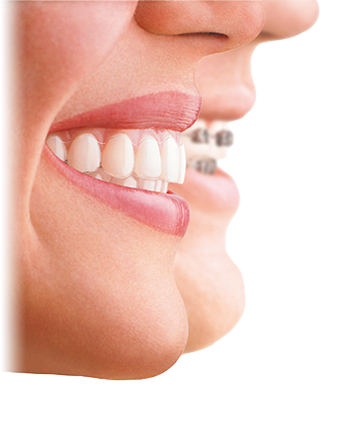 Dental implants are usually placed under local anaesthesia and it is a painless procedure. A hole is drilled into your jawbone using a special drill, which then accommodates the titanium implant. The implant is usually left in place to heal for 3-6 months. During this period you will be provided with temporary teeth while your bone tissue grows around the implant by a process called osseointegration. Once the implant has fully integrated with your bone tissue it is strong enough to support a crown, bridge or secure a denture in place. This depends on the complexity but can range from 1 - 2 hours per implant. At City Dental Leeds, we will advise you of the schedule for your different visits, and it may be that a couple of days off work may be needed after implant insertion. What are the benefits of implants over bridges & dentures? Although the conventional methods of replacing missing teeth are to use either a fixed bridge or a denture, dental implants provide better support and usually result in a more comfortable and stable method of tooth replacement. Jawbone shrinkage, which is often associated when a tooth is lost, is slowed down / prevented with an implant. Replacing missing teeth with bridges involves sticking false teeth onto existing ones, which can involve filing down healthy teeth to act as retainers. This could compromise the structure of otherwise healthy teeth. Bridges can only be used when there are sufficiently strong supporting teeth whereas implants are an independent restoration. Dentures are false teeth attached to a plastic or metal plate. The problem with dentures is that they are cumbersome and have to be taken in and out every day and for cleaning. In addition, if the shape of the gums and bone in the mouth is not appropriate, dentures may not always stay in place. Eating solid foods is often a problem with dentures that tend to come loose. However mini implants or full sized implants can be used to secure dentures into place. No-one can ever guarantee total success, but titanium dental implants have been widely used for well over 25 years with a success rate of between 90 - 95%. If well looked after dental implants can last a lifetime. So although they are more expensive than bridges in the long term they probably work out more cost effective. As with all surgical procedures there may be some complications. With implant dentistry this can be a failure of the implant to integrate with the jawbone, or perhaps some damage to nearby anatomical structures. However, the incidence of such complications is very low, and careful pre-operative planning ensures that any risks are kept to an absolute minimum. At City Dental we take extreme care to assess every case individually. We work closely with our patients to assess the options and highlight the likelihood of success and any related risks. The presence of bone of sufficient quality and quantity is critical to the successful placement of implants. However, this is not always present in every patient, and is usually related to how the gums have healed after tooth extraction. Previously, it was thought that it was not possible to place implants in areas with insufficient bone. Nowadays advances in modern dentistry use certain procedures to increase the amount of available bone using endogenous bone (i.e. belonging to the patient), artificial substitutes, or a combination of both. These grafting techniques are simple and often carried out at the time of implant placement. Here at City Dental we are experienced in these techniques and will discuss the best options with you.